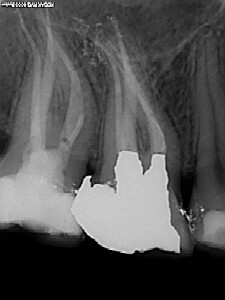 Fees for endodontic therapy will vary based upon the particular tooth in need of treatment and the problem that tooth is having. Payment in full is expected at the time the services are rendered. As a courtesy to our patients, we will submit your insurance claim for you. Our policy is to have our patients with insurance pay 50% of the cost at the completion of your visit. If your insurance company reimburses at a higher rate, we will provide you with a refund. Occasionally insurance companies will not cover the entire remaining balance, when this occurs you will be required to pay the balance. Patients without insurance will be required to pay in full at the time services are rendered. However, financial options are available and will be discussed in detail during the initial visit. We accept cash, visa, mastercard, discover, Amex, and personal checks. We also accept care credit. For more information please contact the office, they will be happy to answer any questions you may have. You can also get pre- apporved for care credit at their wesite www.carecredit.com or by calling 800-365-8295.